And no I don’t mean reading on your phone or the news on your computer when you come into work. Or like me, participating in a book club but only reading half the book every time and instead bringing a bottle of wine to distract everyone from what we came here to do. I mean really reading. An entire book. For me biographies are the best. Biographies are informative and entertaining as the same time and they allow you great insights into someone’s life, thoughts and ideas. So I encourage everyone to read the biographies of the people you admire or that you are interested in! As you can tell I am a huge Obama fan. For example I loved all the books Obama wrote. 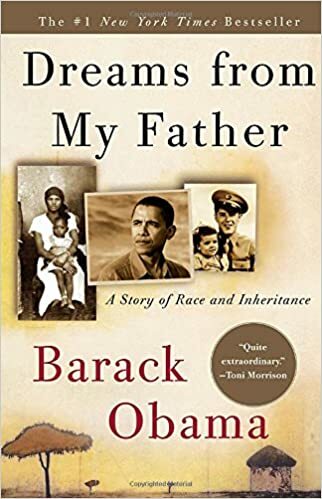 “Dreams from my Father” is particularly moving because it shows really nicely where he came from (from Hawaii to Indonesia to the U.S.A. to Kenya). 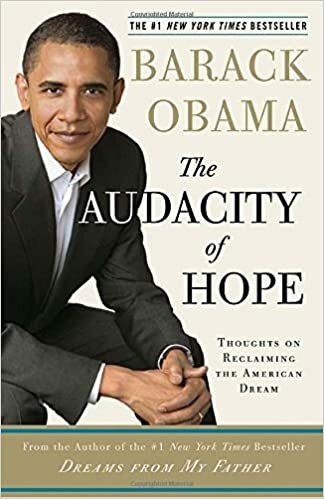 “The Audacity of Hope” is amazing too of course; also I love the strong title. The other medium that is really important to read is newspapers. Have you tried reading an (almost) entire newspaper lately? Do you know how much text there is? I find is very impressive that they write and print so many articles over night, every night. And our parents and grandparents grew up reading the papers every day! Some members of my family still do, or try to anyways. Sadly, many news outlets are in financial difficulties now, so all the more reason to buy and read them regularly! You will get local information you wouldn’t otherwise have and you are forced to actually concentrate on something for longer than three minutes yayy! Or depending on how quickly you can read maybe longer even. Newspapers allow you to go further into the matter in front of you. I feel that all the online articles are written specifically for a quick read, whereas newspapers still give you all the real insight. In L.A. I like to read the Los Angeles Times, also because our neighbors who’ve moved out still get it every week, in Germany I like the Sueddeutsche Zeitung and in London I like The Guardian. The ultimate thing to do is to read several newspapers from different political background to get the full picture. But one thing at a time.. The other kind of newspaper I really like are the street newspapers (papers sold by homeless people). Many cities have seriously good ones. In Munich I used to always buy BISS and in London the Big Issue, which I still do every time I go back. Many of their articles are very honest, critical and insightful. And they put things back into perspective. Which I like. It’s important in life to stay grounded, humble and thankful for everything we’ve got.